Sebastian Bodinus: (b c1700; d Pforzheim, 19 March 1759). German composer. All that is known of his early life is that he came from central Germany (probably from the Duchy of Saxe-Gotha) and that in his youth he must have had some relationship to the Duke of Saxe-Altenburg. About 1718 he entered the service of the Margrave Carl Wilhelm of Baden-Durlach as servant and musician. In 1723 he asked to be discharged in order to avoid being sent as oboist to the margrave’s regiment in Italy. His main instrument was the violin, and when he moved to the Württemberg court he secured the post of first violinist. By 1728, having married in the meantime, he returned to Karlsruhe as Konzertmeister and his wife was engaged as a singer. In the years that followed, Bodinus developed a close relationship with his superior, the court Kapellmeister J.M. Molter. In 1733, on the outbreak of the Polish War of Succession, the margrave disbanded the orchestra; Bodinus left, but returned to his former post in 1736. He now fulfilled the duties of Kapellmeister but did not obtain the title or the salary pertaining to it and his petitions reveal the dire poverty in which he and his family lived. After Carl Wilhelm’s death in 1738 he was again dismissed. When Molter, who had returned to Karlsruhe from Eisenach in 1742, reorganized the Baden court music in 1747, Bodinus, by then in Basle, was offered the post of Konzertmeister at a salary of 300 florins a year and payment in kind. For the fourth time Bodinus entered the service of the Baden court. He seems however to have been of unstable character, and in 1752 disappeared from Karlsruhe for reasons unknown. He subsequently received a letter of recommendation from the margrave, Carl Friedrich. At the beginning of 1754 he was in Darmstadt, where he apparently tried to get an appointment. In September 1758 he was admitted to the Buden-Durlach lunatic asylum at Pforzheim; he died there some months later. Bodinus was one of the many working musicians employed by the German courts of the 18th century. His strength lies in chamber music. He wrote not only numerous solo and trio sonatas, but also quartet sonatas, whose clear but varied structure is partly derived from Bodinus’s applications (under Molter’s influence) of the concerto form and principle to chamber music. Suite elements are also found in his chamber works. His concertos and symphonies, though less important than his chamber music, combine neat and accomplished workmanship with imaginative melodic invention. 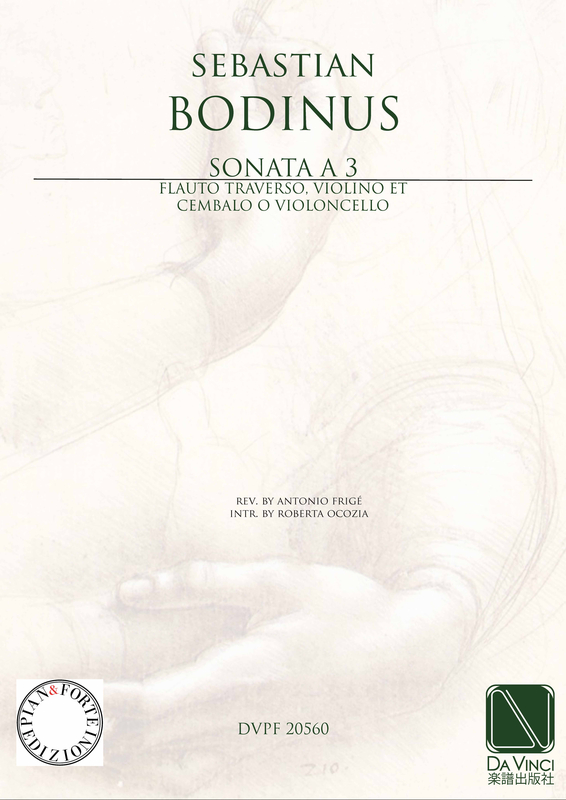 In spite of distinct galantelements Bodinus’s work belongs in style to the late Baroque period.